As someone who has self-harmed, the title of this programme caught my eye, and then I read it will be focussing on the belief that social media and blogs are encouraging and promoting self-harm. I'll be writing this blog as I'm watching the programme and before it comes on, I'd just like to say that my belief is that you will find on the internet whatever you are looking for. If you wan tips on how to cut deeper, it'll be there. If you want to know how to fight the hunger pangs, you'll find it. If you want support with you Disorder, that's available. If you want to read of people's recovery from mental illness, you can. If you search the internet for positive things then that is what you shall find and I believe that publicising the negative side, just teaches more people that it's available. People don't need that; they need to me more aware of the support networks online, the #BPDChats on Twitter and blogs like mine. That being said... Here we go! Charlotte felt that everything's about appearance in her family with her Mum being a hairdresser and her Aunt being a beautician. At family meals she was often complimented and told she looked thinner, she believed this was 'adding fuel to the fire.' Charlotte also thought that another cause of her Eating Disorder was being at an all girls schools when they'd change for PE and pass judgements on one another's body. 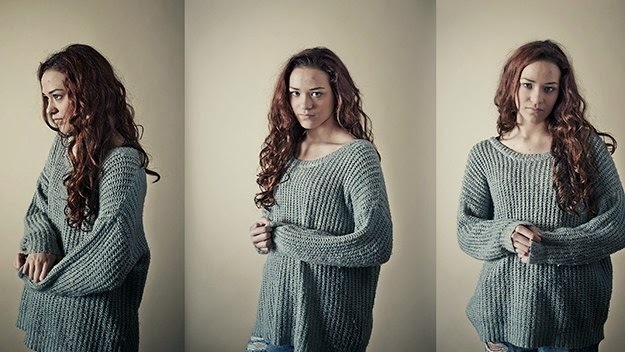 When using social media to look at pro-ana photos, she said: "I like the fact that you see the collar bones, and the hip bones, thigh gap..."
When asked why she wanted to be 'small' she said that she felt that being smaller meant you were safer as no one would want to hurt you if you were thin. Charlotte battled her parents over what internet content she could access and felt in competition with others to see who was the thinnest and believed that being the thinnest meant that you were the strongest. She told of how you'd think you'd made a friend who'd say they would help you lose weight but they wouldn't; because they wanted to be the thinnest. Charlotte would put food in bowls to make it look as though she had eaten, and she wore oversized clothes so her parents didn't notice how much weight she'd lost. She felt that she'd achieve a weight goal and still wouldn't be happy so she'd set another for a lower weight and the voices in her head would convince that this was the life she wanted. Charlotte first cut with a razor and at first, she said that it hurt but as she saw the scar it began to feel good and she felt that she was strong for doing it. She learnt how to cover the scars with make-up and began cutting as a punishment for eating or not exercising. The turning point came when Charlotte felt she could no longer self-harm or starve herself and she told her Mum. She was taken to Hospital where she was told that they body was beginning to shut down and that if she'd continued the way she was, she would have died. At the Priory, she Dialectical Behaviour Therapy, Occupational Therapy, Group Therapy, Individual Therapy and Family Therapy. When asked if they had worked she nodded and said "at one point i was happy and in control of my Eating Disorder." She was asked how she felt now and admitted that she felt the Disorder was beginning to grip her again but that she hoped she was strong enough to stop it from going too far. She now studies performing arts and said that "when I'm on stage, the voice can't touch me." With hindsight, Charlotte's Mum said that she shouldn't have had a laptop, she should've been using a communal computer so that everyone could see the content she was accessing. Becky came into the programme making a joke after a cameraman offered her a drink of water and she said "I'm a Bulimic smoker; my voice is never good!" Her Mum explained how Becky was viewed as 'weird' as a child and bullied when she was the first one to need braces, had to wear glasses and had other physical disabilities. Becky's Eating Disorder begun with diets and weighing herself every day and admitted that she wanted to be invisible. She was constantly on the internet; using it at College and then when she got home, and if she wasn't on her laptop then she was on her phone and often engaged in 'competitions' with others to see who could lose the most weight that week. Her and her friends had a book of excuses that they'd use for missing lunchtimes at school and when her Mum found bags of vomit in Becky's room, she worried. Being a nurse, she knew the dangers of bulimia. Becky began self-harming because she felt that she was showing power over her body and believed that the depth of a cut shouldn't reflect the level of distress as different people self-harm for different reasons. At her lowest point, Becky cut through a deep vein that had to be stitched without anaesthetic because she was losing so much blood, there wasn't time to administer any. At this point, Becky's Mum phoned CAMHS (Child and Adolescent Mental Health Service) and they acknowledged things were getting worse and that they could no longer keep Becky safe; she had to be hospitalised. During the admission she became suicidal and at one point her parents thought that the only end to the situation would be if Becky succeeded in committing suicide. "That's when this nightmare would end. And the nightmare would end for Becky too because she was in such pain." Becky's sisters sent her letters in hospital to help motivate her into being discharged and although she is now out of hospital, her family still worry for her safety; after drinking one evening, Becky was found by Police on a bridge. "Very quickly it became the answer to everything" - on inducing vomiting. When the habit got to 15-20 times a day, Chrissy had a seizure during the night from de-hydration. After abusing laxatives, in the Christmas of 2011, Chrissy became unable to attend college. Se began to feel that she would die and said that in the mornings she would "wake up that I hadn't died during the night." Chrissy felt she'd become obsessed with cutting in the way that she had her Eating Disorder, she found it best to cut her arms but soon found herself cutting wherever there was room including her stomach and chest. She was incredibly poorly but refused any medical interventions. The turning point came when Chrissy realised there was nothing more she could do; no more weight she could lose and she threw herself into recovery with the same passion she'd used to harm herself. She has since gotten 2 A grades and one A* at A Level and will be attending York University. Chelsea was always believed to be more mature than her years but she told teachers that she didn't want to grow up. It became clear Chelsea was self-harming when a sibling found the implements and as her Mum began looking through the internet history. She would scrub at the blood in the bathroom and her parent's said they thought she was a typical teenager wanting to spend time away from family. Her Mum explained how there would be some support from people online but Chelsea focused on all of the nasty, spiteful ones. When Chelsea's Mum found two belts in her daughter's room she told her husband 'you mark my words; she'll try and hang herself.' Her husband said she was over-reacting. Her Mum recalls one day when she asked Chelsea to come and walk the dogs with her, and she refused so she went alone. When she and her husband returned home they checked on their children and realised they couldn't open Chelsea's room far. She'd blocked her door with a desk and when they managed to break in, she was found hung from her wardrobe. Her parents followed the ambulance and were told in A&E that she'd died, her father said to the Doctor "I have one question; how do we tell her brothers and sisters?" The Doctor told them that they'd find the strength. There were a lot of mixed views on this programme on Twitter with some voicing that the images were triggering for them and that if you watched the programme with no real knowledge of what they were talking about, you'd learn a lot of dangerous 'tips.' Personally, I struggled to understand why they were trying to get across how detrimental the images are on social media but they programme not only showed such emails, but they showed the girls who were so affected, looking at them! That baffled me. I'm also very excited to say that Chrissy and Becky who were featured in the documentary, contacted me on Twitter and will be writing guest posts that will go up ASAP!